The D.K.C. MacDonald Memorial Lecturer is an important focus of the conference and the Lecturer is chosen by the Chair of the conference. This award is not open for nominations. 2019 Recipient: Professor Frans Spaepen, the John C. and Helen F. Franklin Professor of Applied Physics at Harvard University. He has made seminal contributions to a wide range of topics in materials science; grain boundaries and interfaces, amorphous materials including metallic glasses, thin films, multilayers and most recently colloids. His work is characterised by its elegance, rigor and the clarity with which he links insightful experiments to a firm theoretical base. Among his many honours, Prof. Spaepen is a Fellow of the American Physical Society, the Metallurgical Society of the AIME and Materials Research Society (MRS). 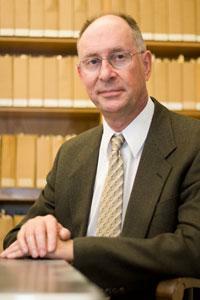 He was elected to the National Academy of Engineering in 2008. History: The Metal Chemistry Award was conceived by Professor H. Hancock of the Technical University of Nova Scotia in 1988 to recognize outstanding contributions to metallurgical chemistry as epitomized by the inaugural winner, Professor L.M. Pidgeon of the University of Toronto. Since the time of its inception the award has included recipients from universities, industry and government laboratories engaged in research activities ranging from hydrometallurgy, molten salt chemistry, corrosion and fundamental physical chemistry bearing upon smelting and refining processes. David Shoesmith was educated at the University of Newcastle-upon-Tyne, United Kingdom, where he received his Ph.D. in Electrochemistry in 1970. From 1970 to 1973 he was a post doctoral fellow at Carleton University in Ottawa, Canada, before joining Atomic Energy of Canada Limited (AECL). He worked at AECL’s Whiteshell Laboratories (Pinawa, Manitoba for 25 years achieving the rank of Principal Research Officer in 1991. He moved to the University of Western Ontario in 1998 and was appointed the Natural Sciences and Engineering Research Council (NSERC)/Nuclear Waste Management Organization (NWMO) Industrial Research Chair in nuclear waste disposal chemistry in 2000. His research interests are in the area of localized corrosion (especially crevice corrosion), the development of techniques to analyze corroding surfaces, and development of deterministic and probabilistic models to describe and predict corrosion performance. He has published over 210 journal articles and refereed conference proceedings and 27 book chapters and review articles, and over 120 commercial and company reports. He has given approximately 50 invited lectures at national and international conferences. He has graduated over 20 graduate students many of whom have won awards (30 since 2001) at national and international meetings. Criteria: For outstanding scientific contributions in the area of metal chemistry and distinguished service to the Canadian metal chemistry science community. This award generally covers the science related to the processing and production of materials. Please note that the awards process is confidential, and as such, we ask that no nominations be disclosed or discussed, except by those who are preparing and submitting the nomination. History: The Metal Physics Award was conceived by Professor T.S. Hutchison of the Royal Military College of Canada to recognize achievements in fundamental physics of importance to the understanding of metals as materials. At the time of its first award to Z.S. Basinski in 1977, the advancement of dislocation theory was the very essence of the kind of achievement the award was intended to recognize. Although the Award since that time has been awarded for excellence in a much broader range of research achievement including advancement in non-metallic materials. 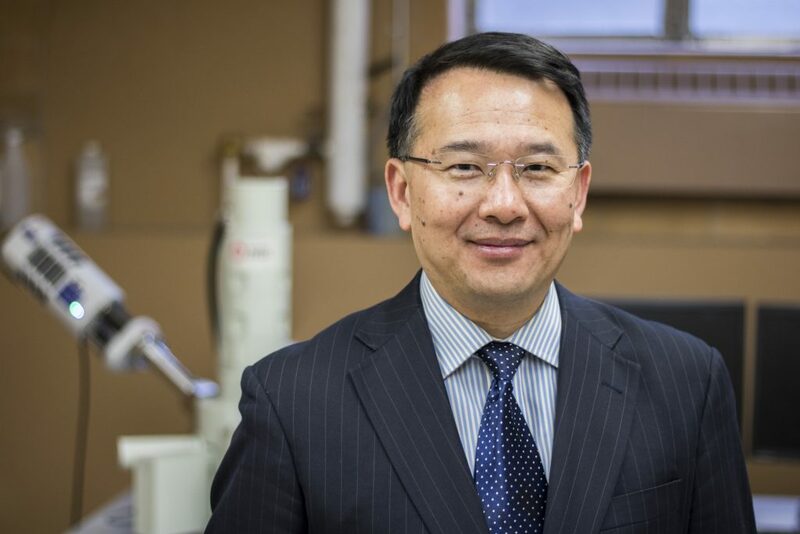 2019 Recipient: Dr. Daolun Chen, Ryerson University. Professor Chen is in the Department of Mechanical and Industrial Engineering at Ryerson University. He received his PhD in Materials Science and Engineering from the Institute of Metal Research, Chinese Academy of Sciences in 1989; and Doctor rerum naturalium in Materials Science-Chemistry from University of Vienna, Austria in 1993. Dr. Chen is a world-leading expert in materials with over 370 peer-reviewed publications, plus 190 non-refereed conference papers and research reports. His pioneering research has led to improvements in safety and durability of lightweight components, enabling reductions in energy consumption and emissions. His groundbreaking work on nanocomposites led to the widely known method that bears his name and was twice identified by the Council of Canadian Academies to be a top 1% most highly cited paper in his field worldwide. He has been recognized with numerous awards, including the MetSoc Award for Research Excellence and MetSoc Distinguished Materials Scientist Award, and has been invited to serve on editorial boards of 28 journals. Criteria: For outstanding scientific contributions in the area of materials and distinguished service to the Canadian materials science and engineering community. This award more specifically covers material property fundamentals and materials characterization, including the development of measurement techniques in these areas.